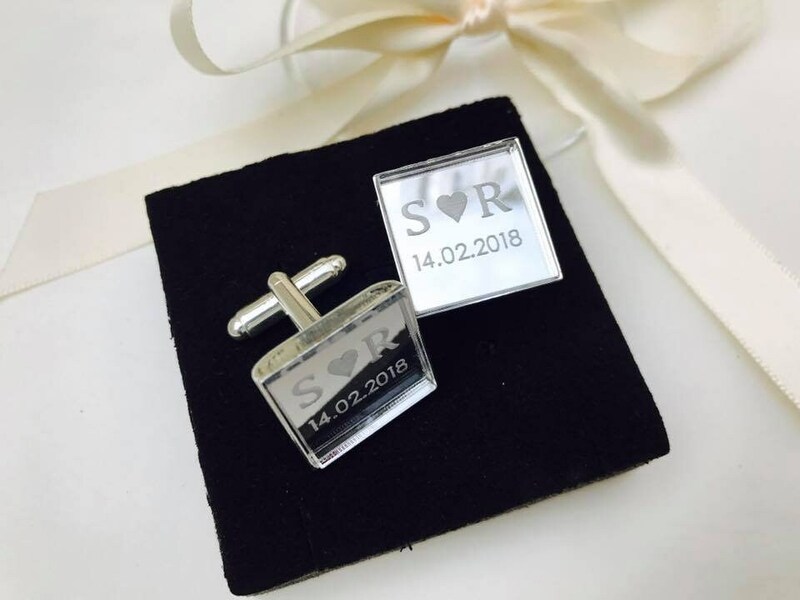 Personalised Wedding Cufflinks -Engraved Square Monogram Silver Mirror. 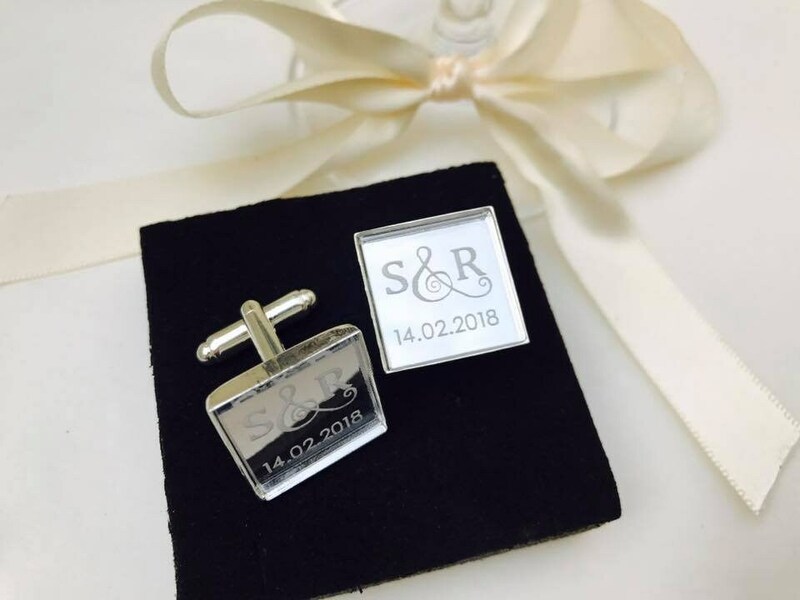 Ideal Special Gift for Groom, Groomsmen, Anniversary or Birthday. Engraved on high quality Silver mirror acrylic. Suitable for: groom, groomsmen, weddings, anniversaries, birthdays etc. · Approx: dimensions: 18mm · Personalised with your own two initials and date on each set. Please allow 5-7 working days for engraving and despatch of goods. These elegant wood cufflinks are the perfect accessory with their classic look they compliment any shirt. Set into silver backing: Material is Silver Plated. Brass, Lead and Nickel Free. Packaged in a black kraft gift box. 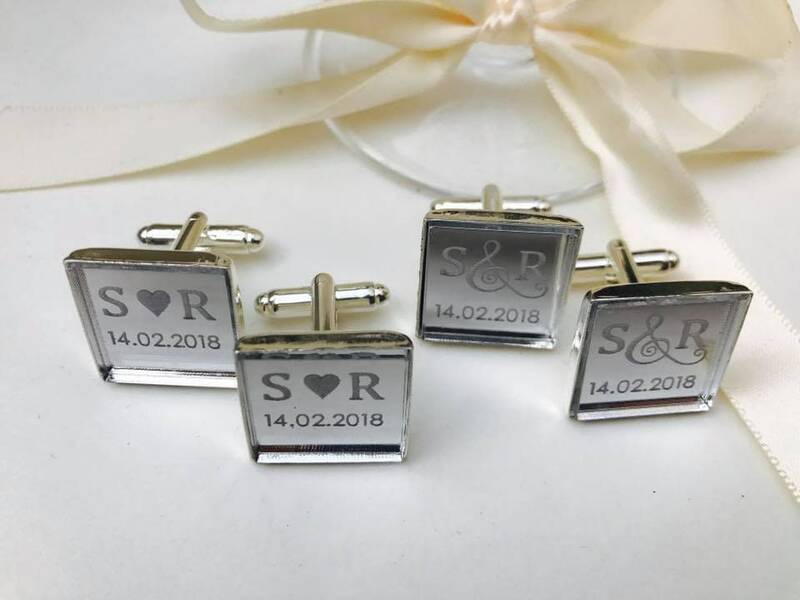 Each cufflink can be personalised to your own two initials on each cufflink set.